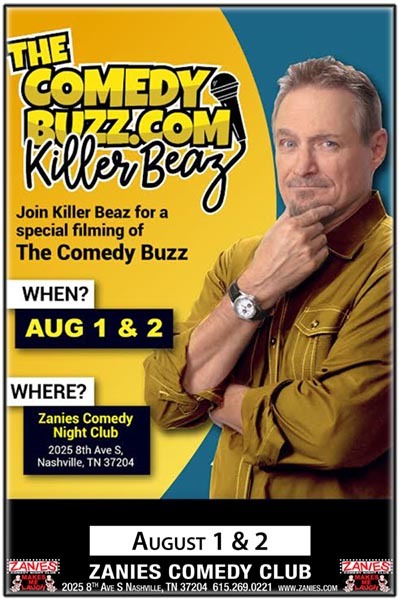 Killer Beaz has invaded Music Row and partnered with the owners On Air Broadcasting to create a unique multi-media comedy outlet, TheComedyBuzz.com. The network will present all things funny, in all digital forms, featuring a 24/7 Comedy Radio Network, podcasts, standup routines, interviews and live productions. If comedy is the best medicine, we’re your drug store!